Have you ever wondered if you actually measure the right key performance indicators (sales KPIs) for your team? As sales leaders, we want to manage our teams around the activities that ultimately lead to sales. The magic metrics. As the world of inside sales continues to grow, it only makes sense that this KPI would snag the top spot with 26 percent of sales organizations measuring this. Calls will likely continue to take the top spot, as the human connection between buyer and seller is key to bring in new customers. Despite being a lagging indicator (like close rate or deal size), wins still came in at a very close second with 23 percent of all sales organizations using this as a KPI. Wins will, naturally, be the number one metric for sales leaders. But this metric is not an activity that reps can control, so it may not be the best choice for a sales KPI. Creating opportunities is an important step for sales processes in many organizations. Our research shows that 19 percent of sales teams track this KPI. The thing to remember is that you need to have clearly defined what counts as an opportunity, so there’s no confusion among sales team members. The number of emails sent can be important specifically for sales development reps looking to turn contacts into leads. With 8 percent of sales organizations measuring emails sent, this KPI takes the fourth spot. Just make sure your reps are sending emails with substance that get responses from leads and not simply sending out template-like mass emails. Last, but definitely not least, meetings comes in with 8 percent of sales organizations focusing on this metric. Similar to calls, live conversations with prospects can be essential to the sales process. Formal meetings with opportunities can also be a great time to bring in more senior members of the sales organization to both negotiate deals and coach reps. Note that just because these KPIs are popular does not mean they are the right fit for your team. Every sales team is unique, which means that the metrics they measure will also be different. Grab a copy of the full report for more! 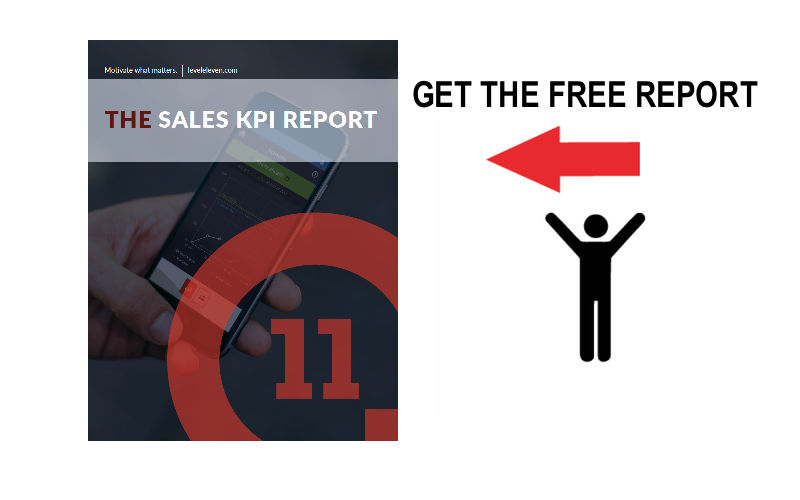 In “The Sales KPI Report,” we analyzed 1,500 sales activities used by more than 100 sales teams and discovered some trends. Here's what we found.